Arey, Leslie Brainerd. 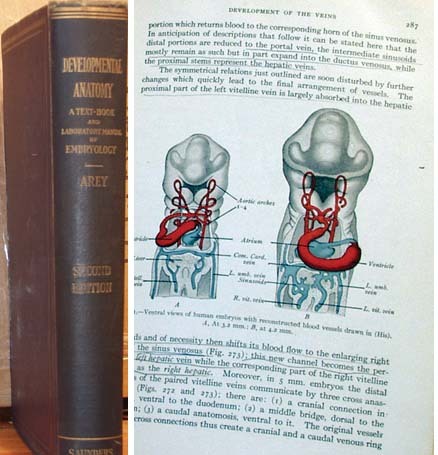 Developmental Anatomy: A Text-book and Laboratory Manual of Embryology; 2nd edition, 532 illustrations, index. 1930: W. B. Saunders, 563 pp.